A grant from the Hansen Foundation has helped make Smith County a safer place. 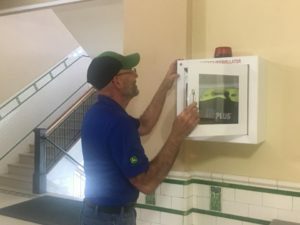 AED units were installed and county employees are being trained by local EMS on to use them. The project has created a general awareness of the importance of CPR and AED usage in saving a life.